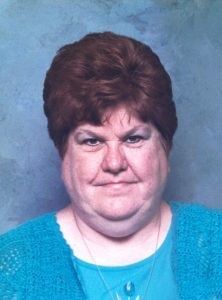 Candee Marshall, 63, of Octavia, died Monday, October 1, 2018, at the CHI Bergan Mercy Medical Center in Omaha. Candee was born September 22, 1955, in Emporia, Kansas, to Max Allen and Ruth (Jones) Jenkins. She has two sisters; Kathy Lutt and Samantha Jenkins, four brothers; Donald, Harold, Ronald and Arnold Jenkins, two daughters; Kim Marshall and Michelle Ann Williams, two grandsons; Mike and Robert Williams. Also surviving are her mother-in-law, Vivian Marshall and good friend Peggy Hoffman. Candee married Steve Marshall in Colorado Springs on June 6, 1990. They have lived in Octavia and Candee was the office manager for Honest John's Car Dealership in Schuyler for over 25 years. Candee also served her country in the United States Air Force from 1973-1976.